With more than 15 wildlife tours on offer in Ethiopia, our expertly guided Ethiopia wildlife tours cover them all. Wildlife travelers can pick one of our wildlife tours to exploit local animal and plant life in their natural habitat. Some of the best national parks which our safari tours include are the Abjatta-Shalla Lakes National Parks, Awash National Park, Bale Mountains National Park, and Simien Mountains National Park. 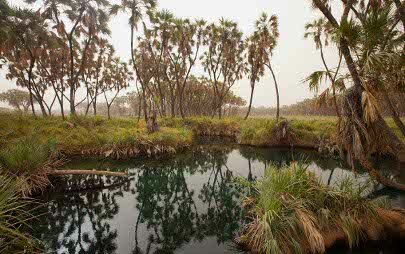 THE ABJATTA-SHALLA LAKES NATIONAL PARK : Comprised of two lakes (Abjatta and Shalla), the park was established in 1970 for its many species of aquatic birds. With two lakes hosting 400 bird species, the park includes 4,820ha of aquatic habitat. It has an average altitude of 1,7203m above sea level. 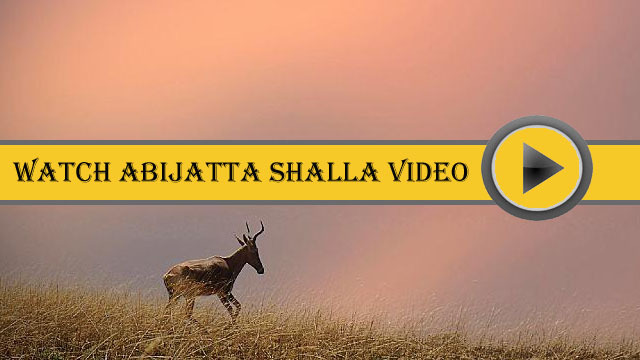 The average annual temperature is about 20 degrees C. The relative humidity at Abjatta-Shalla National Park of Ethiopia ranges between 48 and 680. The rainy seasons are from March to April and June to September. Abjatta, only 14m deep, is where the birds come to feed, while their nesting paradise is Shalla, which is the deepest of all the Ethiopian Rift Valley Lakes at 266m. The Abjatta-Shalla National Park is located 200km south of Addis Ababa in Arsi Negelle Woreda, Oromia Regional State. The size of the park is 887sqkm. Awash National Parks: Awash National Park is one of the nearest national parks to the capital Addis Ababa It is situated in the Ethiopian Rift Valley in dry acacia savanna. One can see a number of dormant volcanic mountains and the Awash River, the most utilized river in Ethiopia both for hydroelectric power production and irrigation very close to this Park. Attractions: Great scenery, birdlife (It’s one of Ethiopia’s birding spots—more than 400 species of birds are found in this park. ), waterfalls, mammals such as aardvark, Beisa Oryx, Salt’s Dik-Dik, gazelle, hamadryas and Anubis baboons and others. Added attractions: Lake Beseka and the dormant crater Fantalle are added attractions for visitors. When to go: Anytime of the year is suitable, but between June and January is best. Altitude: Average altitude is 1,000m. Temperature: Temperature can rise to 42 degrees Celsius but average temperatures are around 27 to 30 degrees Celsius. 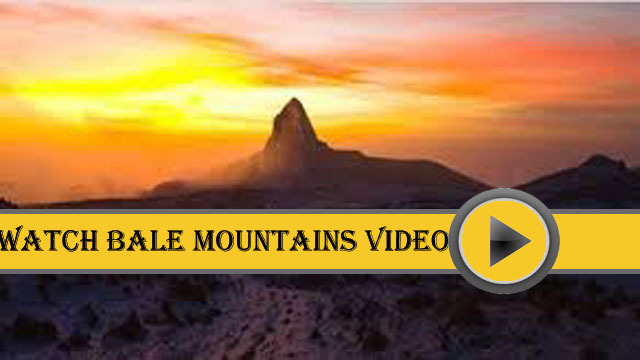 BALE MOUNTAINS NATIONAL PARKS : Bale Mountains National Park is a high altitude plateau, covering a total area of 2,400 square miles, rich in beautiful alpine lakes and was primarily built with the main objective of protecting the endemic mammals mainly Ethiopian Wolf and Mountain Nyala. The park also shelters monkeys such as the Olive Baboon and Grivet Monkeys and carnivores such as the little stripped Zorilla, Leopard and Civet. Bale Mountains is also an excellent place for birding opportunities as it is home to more than fourteen endemic birds of Ethiopia. Location: Bale Mountains National Park is located at the coordinate between N7°00″ and E39°45″ and 400km south of Addis Ababa. Temperature: The temperature of the Bale Mountains ranges between 15°C - 30°C. Rainy season: The high rainy season of Bale Mountains is in April and August to October while the dry season from November to February. Flora: The vegetation in this national park includes wild flowers such as Lobilia, Hagenia Abyssinica, Juniperus Procera, montane grasslands, heather, Afro-alpine plants, Helichrysum, genera such as Podocarpus, Hagenia, Schefflera, Rapanea, and Celtis, and more. 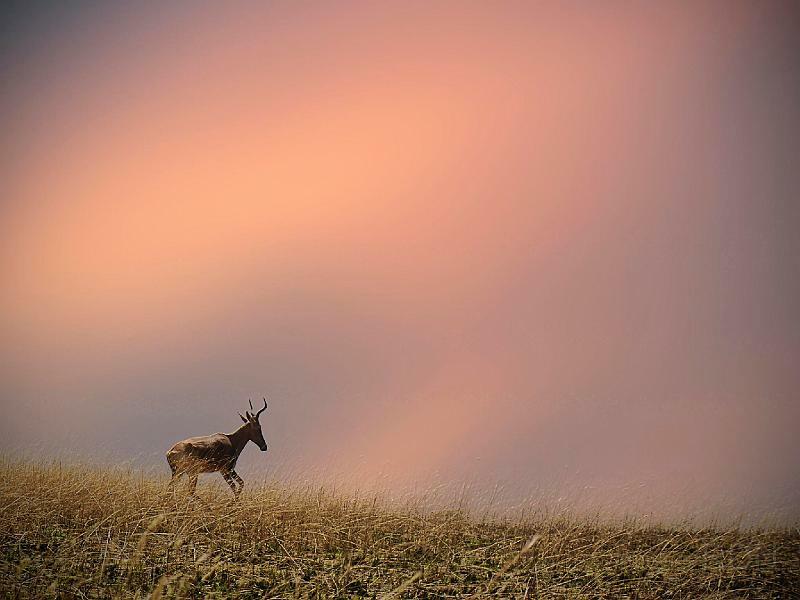 Fauna: The list of wild animals found in Bale Mountains National Park includes Mountain Nyala, Simien Fox,the endemic Bushbuck(Menelik’s Bush), Abyssinian Hare, Bohor Reedbuck and more. Attractions: It is a famous sanctuary to three Ethiopia’s endemic wild animals: the Simien Red Wolf, Mountain Niyala and Menelik’s bushbuck. The Simien Fox is the top most attraction for tourists. Out of the 23 endemic birds that Ethiopia is proud of, 13 species inhabit in the park. These include the Blue-winged goose, Roget’s Rail and Thick Billed Raven. The grassy forest ground offers comfortable corridors to walk on with a close view of the wild creatures, including those that live nowhere else except in Ethiopia. 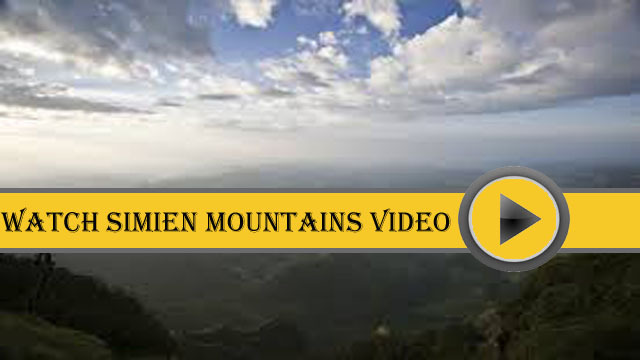 Streams cascading from the Bale Mountains downwards to gorges and the lowlands make supreme attractions. They also sustain the wildlife, filling volcano-formed lakes with fresh water. The journey to the Bale Mountains of Ethiopia enables one to experience dramatic changes of environment: from the Savanna of the lowland to the dense forests of trees, shrubs and herbs and more. The trekking made to the vast alpine areas spectacular escarpments, and high mountains offers comfortable view to the wildlife there. Simien Mountains National Parks :Simien Mountains National Park is a UNESCO World Heritage Site, one of Ethiopia’s best places to do trekking and see endemic mammals and birds, full of impressive scenery, where the fourth highest peak in Africa is located, where the old gods reigned in Ethiopia, and one can see the vast plains of Eritrea from its top Escarpment. This morning you shall drive to Awash National Park, one of the nearest national parks to Addis Ababa for a two nights stay. You will break your journey at Debre Zeyit to see the attractive crater lakes there. In the late afternoon, you will begin your exploitation of the park. O/N at lodge. 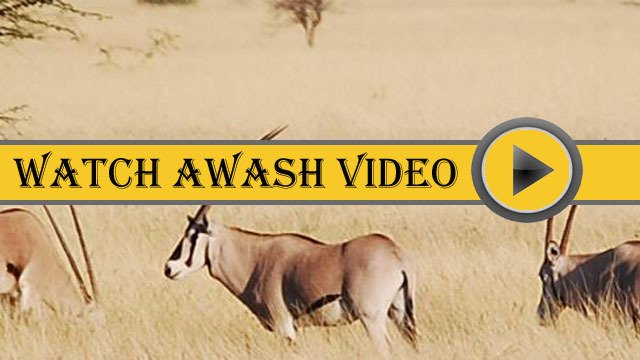 Full day visit Awash National Park. Herds of Oryx, common waterbuck and Soemerings’s Gazelles, Zebra, Lesser Kudu, Salt’s Dik-Dik, Warthog, Grivet Monkey and baboon are some of the wild animals one will have a chance to see at this park. O/N at lodge. After breakfast, drive through the Rift Valley to Lake Koka and Lake Ziway for some stops to see them before continuing to Wondo Ganat. After arrival, ascend into the hill to see the vegetation there fed by hot springs. O/N in hotel. A pre-breakfast bird walk by the nearby stream would be arranged at dawn to those keen to be up and about early to listen the dawn chorus. After breakfast, drive from Wondo Ganat to Bale Mountains National Park. You will enjoy the increasingly spectacular scenery as you approach the park. O/N in lodge. Today you will make the best use of your time in the Bale Mountains National Park by driving through it and focusing on the high altitude of Sanetti Plateau, and later, if the weather (so notoriously fickle here) is favorable on the edge of magnificent Harenna Escarpment to see many species of birds. Then ascending onto the open moorland plateau, you will see extensive grassland weeded spikes of primeval—looking Giant Lobelias and Red-hot pokers provide a wonderful Afro-alpine habitat, you look for the endangered Ethiopian Wolf and the Grass and Swamp Rats and numerous other small rodents, which the Ethiopian Wolves depend on to feed themselves. O/N in lodge. Depending on the success of yesterday, you will either return to the Sanetti Plateau to extend your search for Ethiopia Wolves, or you will head to Geysay (where the endemic Mountain Nyala is common) and Dinsho regions of the park, possibly taking walk up the Web Valley, another stronghold of the Ethiopian Wolf. Warthog, Common Duiker, Menelik’s Bushbuck and Bohor Reedbuck are some of the most common animals one can see at Geysay. O/N in lodge. Drive from Bale Mountains to Hawassa, a lakeside and resort city. After arrival, enjoy your late afternoon time on the beach side. O/N in hotel. In the morning, visit the Tabor Hill from where you admire the stupendous view over the city, the local fish market, and then retrace to Addis. In the late evening, transfer to the airport to catch your evening return flight to home.